In a perfect world, you would always be able to sit down in front of your console and living room television when you had some gaming to do, but other members of the household will sometimes get in the way. When that happens, you can stream games to another computer or mobile device — and it’s easier to do than you might think. For the sake of brevity, we’re going to concentrate on the latest console versions from Sony and Microsoft — Nintendo doesn’t support streaming of thi s nature — and limit ourselves to streaming to devices (phones and computers) on the same local wifi network. Getting at your console and your games from outside the home is sometimes possible, but it usually requires extra configuration for a worse experience— and would require a whole extra guide on top of this one. If you want to stream to Windows, macOS, and iOS devices in the same home though, this is how to go about it. The bad news for Android users is your options are much more limited, but we’ve included a few possibilities. 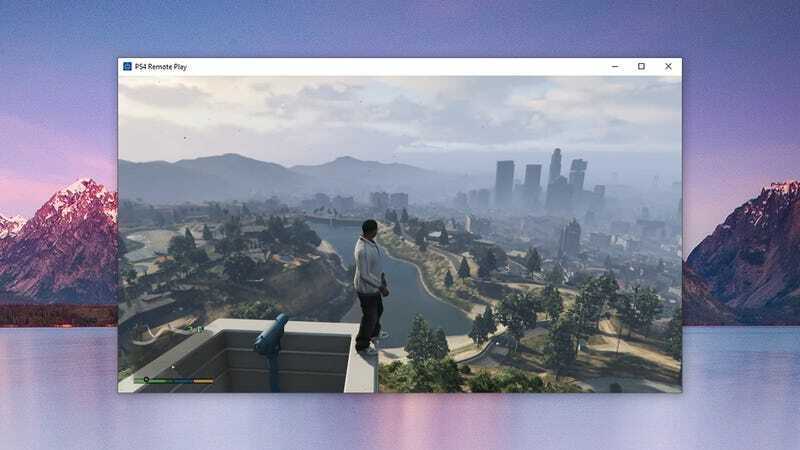 We’ll start with the easiest setup: As Microsoft makes both Windows 10 and the Xbox, it’s made it relatively simple to get your Xbox games streamed to a Windows 10 PC on the same local network. The key is your Microsoft account. Make sure you’re signed into the same one on both your Xbox One console (select your gamerpic in the top-left of the home screen) and your Windows 10 machine (Accounts in Settings) and you’re just about good to go — a lot of the heavy lifting is done for you. 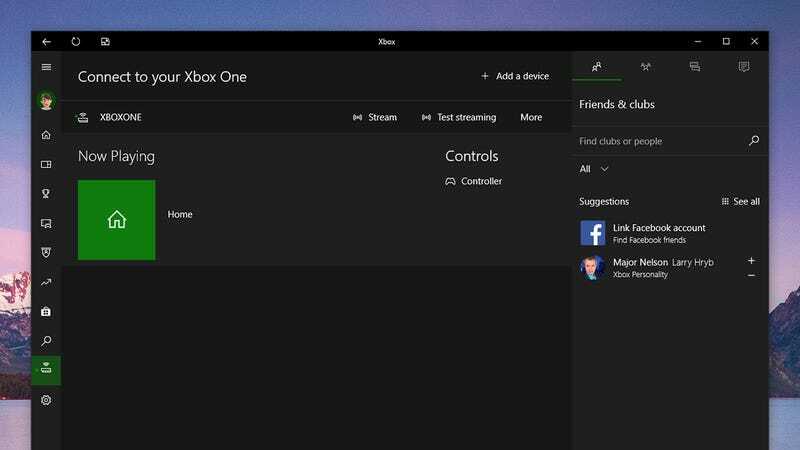 There is one key setting you need to enable: Under Preferences in the Xbox One Settings panel, choose Xbox app connectivity and make sure Only from profiles signed in on this Xbox is selected and Allow game streaming to other devices is ticked. With that done, fire up the Xbox app from the Windows 10 Start menu, click the Connection option on the left-hand menu, and you should be able to pick your console. When it’s connected, choose Stream to see it on your PC. You’re also going to need a controller attached to Windows 10 unless you’re sat in the same room on a laptop and the controller is still in range of the Xbox One. Either plug in an Xbox controller via a USB cable or connect one as a Bluetooth device (Devices in Settings). Microsoft supports either method without additional software. With a controller connected, it’s just like sitting in front of your Xbox One, albeit at a lower resolution and with the occasional stutter. The demands on your PC should be fairly low too, as the Xbox One console is still doing all the work. Streaming was relatively lag-free when we tested the system (as it was with Sony Remote Play, discussed below), though the wifi system we used isn’t the most reliable. Streaming is highly dependent on the strength of your internal network so anything you can do to improve speeds is better. For most people that means ensuring the Xbox, and if possible the Windows machine, are both on wired Ethernet, which tends to be faster and more stable than wifi. Getting the same experience on macOS or iOS was close to impossible until OneCast came along. This third-party app will set you back $12 on iOS and $20 on macOS, though the Mac application offers a free trial so you can give it a go first. 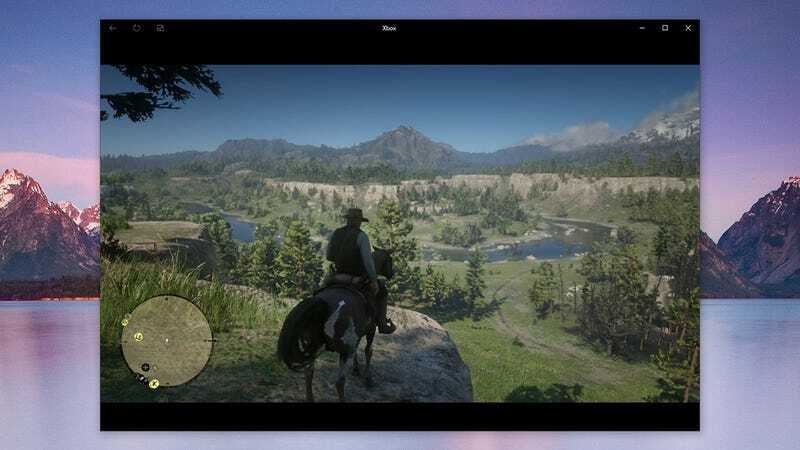 The setup for macOS is similar to the one for Windows: You need to enable game streaming in the Xbox settings, and you need to connect an Xbox One controller up to your Mac, either via USB (OneCast includes the necessary drivers) or across Bluetooth. 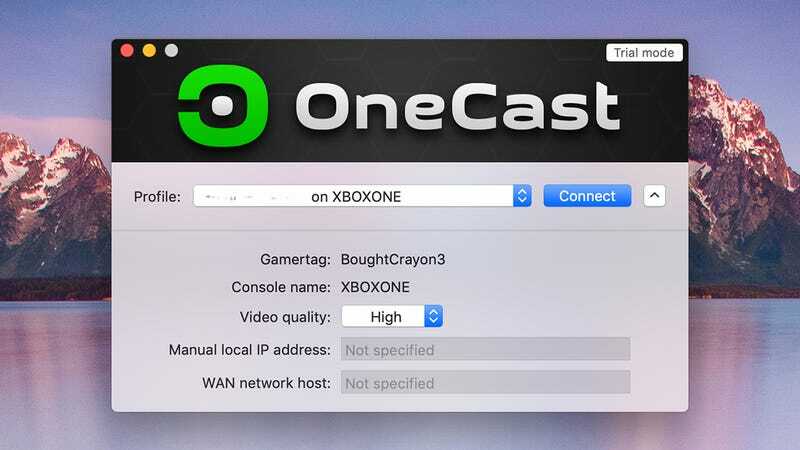 Once OneCast starts, you’ll be guided through the process of signing in with your Microsoft account, which then enables you to pick your Xbox One from the local network. Click Connect, and you can operate your Xbox One as normal through the app. The process on iOS works along similar lines: Register your Microsoft account and the Xbox One will be detected. You can use your original controller, a third-party controller, or OneCast’s own on-screen controls as an input device. Sadly, there’s no comparable option for streaming Xbox One games to Android devices for the time being. This might change once Project xCloud gets off the ground — whenever that’s going to be — but you’re out of luck for now. 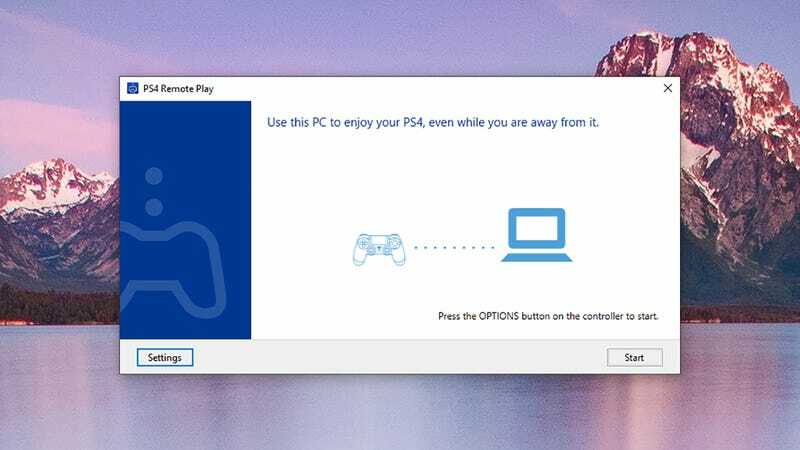 If you prefer your consoles with a Sony badge, then the official Sony Remote Play app for Windows and macOS should be your first port of call. This lets you get games streamed to any desktop or laptop on the same local network, with your original DualShock controller as an input device. First, you need to enable the feature on your PlayStation 4 — from the Settings page on your console, you need to pick Remote Play Connection Settings then check the Enable Remote Play box. With that done, download the Sony Remote Play app for your operating system of choice, and follow the instructions on screen. You’ll need to sign in using your PlayStation credentials, and then the connection gets established (you can use a code on your PS4 screen as a backup if needed). Once the connection is established, and your DualShock controller is connected to your computer via a USB cable or a wireless USB adaptor, your PS4 display simply appears in a window on your desktop. Use the full-screen icon in the lower right-hand corner to get a better view of the action. There are also virtual Share, PlayStation and Options buttons shown as an overlay, which you can use instead of your controller (if you need to bring up an in-game map, maybe). So far so straightforward for the macOS and Windows machines in your home, but what about mobile devices? 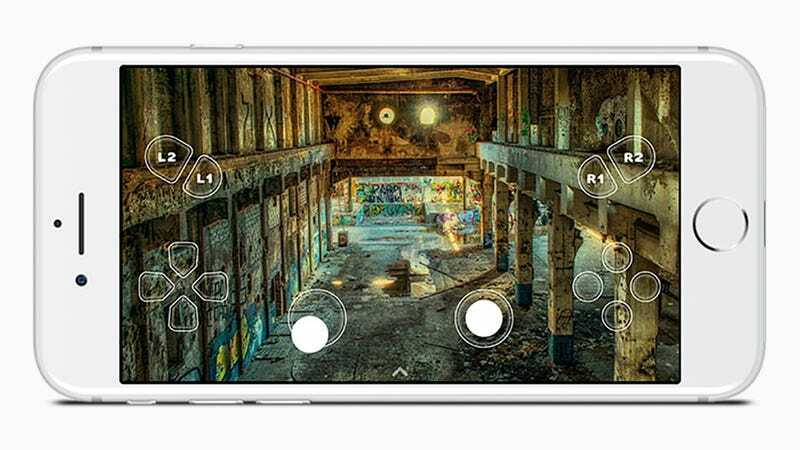 Sony Remote Play is officially available for Android but only works with Sony Xperia phones. There’s no genuinely decent alternative around if you’re on Android, though as we said in the introduction, there are always a few hacky workarounds—stream your PS4 to your PC and then to your Android phone, for instance, as Android Central details. Chances are you might not get the responsiveness you need in most games though. On iOS, a third-party developer has plugged the gap: R-Play for iOS will set you back $12, but is actually going to do the job of connecting to the Remote Play functionality built into your PS4 and get it streamed smoothly to your iPhone or iPad. Resolution tops out at 1080p for the PS4 Pro and 720p for other consoles, but that comes with 60 frames-per-second — and the app has enough high ratings to suggest the gaming experience is pretty lag-free. Control is via the bespoke on-screen buttons or via a compatible MFi gaming controller. You need to enable remote play on your PS4 as described above and use the Add device option to generate a PIN. Input that code into R-Play, together with your PSN ID (your password isn’t required), and you should be up and running. Resolution and frame rate can be customised inside the app, up to a point, if your home wifi network can’t take the strain of the top-end settings. The app also comes with an extensive user manual as part of the app, so you should be able to get everything running fairly smoothly. It’s disappointing that both Microsoft and Sony offer limited support for streaming to mobile devices — possibly because there’s not a huge amount of demand for it, and the controls are too fiddly to be useful — but if you really have to get your games up on a mobile device you’ve got a few choices on iOS.